Recently, many companies have issued that they will increase their paid paternity leaves monetarily and they will lengthen the amount of time offered after the employee’s new child’s birth. Right now, it is not very common for father’s to go on paternity leave but a prominent figure, Mark Zuckerburg, has decided to take one. This increased the popularity of paid leave for fathers. Receiving pay checks while caring for a newborn is extremely important. Paid paternity and maternity helps get rid of the issue of employees quitting to take care of their new children. Only a few states such as, New Jersey, California, and Rhode Island require paid leave to all new parents. The funds to pay these parents come from taxes. I think this is a great idea because companies who do not have a lot of money would not have to pay new parents while they are gone. Instead, the state will. Parents should not have to quit their jobs and suffer financially when they have new children. The author of this article, Ron Lieber, used logos by mentioning a survey that was done by the Society for Human Resource Management. In this survey, it was discovered that only 17% of the employers surveyed offer paid paternity leave. Of these companies, the ones who provide paid paternity leave are said to be already generously paying companies who have the money to do so. 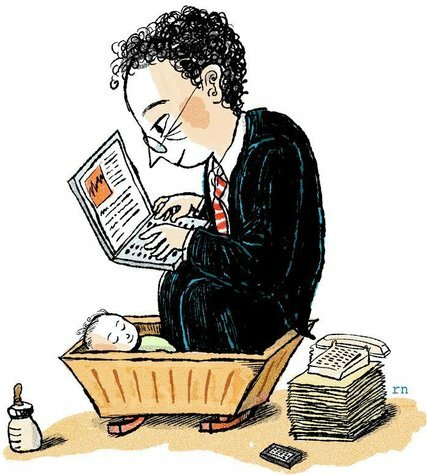 The author also incorporates ethos by stating the well-known companies that offer paid paternity leave. Netflix comes in first, they offer an unlimited number of weeks used for paid paternity leave during the first year that their employee’s new child is born. I really like this topic, and I agree that it should be made more popular. I liked your Netflix example, it helped put the issue in perspective. Very interesting choice, I enjoyed reading your post. Paid paternity leave is important and the state paying for it through taxes is a good idea. Great analysis of rhetorical appeals. This is well written and you do a nice job of explaining how the author gets their point across.